I cannot be a hypocrite. I cannot say I am always perfect at being present. I can say I try very hard to remember to be here, right now. I can feel my fingers as they click on the keys. My nails, slightly too long to be completely comfortable, absorb the impact with each click. Max the toddler cat sits next to me and I can hear the low rumble of his purr as his own nails click over and over into the blanket that lays across my lap. Baby M lies peacefully in her bouncy seat just across the threshold of the doorway to the dining room so she won’t be disturbed by “We’re the Millers” on-demand movie I am watching. I try to stay present, as to not let my mind get too far ahead of me as I type this post. How I will get across what I want to say without over simplifying things? I can only speak from my own experience, but being that I am incredibly grateful and aware of just what that means in the deepest parts of me, I can at least try to relay that, so that, some part of what I say might come resonate with some one who is having a hard time finding gratitude in what can be a challenging time of year. Finding gratitude is like crossing the street. You have to be incredibly aware of what’s happening around you. What’s happening down the street. Are there any cars coming, how fast are they driving? What do you know about that particular crossing environment? Do people speed through? Do they pretend to stop? How many lanes? Would you make it across one lane of a 4 lane road and risk the secondary lane not seeing you and speeding through. 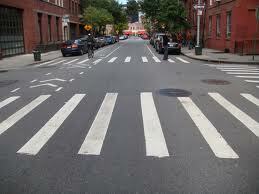 Before you even step foot in that cross walk, you must stop, look and listen. You are entirely present: your life depends on it. Gratitude is no different. Your life, enjoying it and knowing why, is equally as precious. Now, for me, blogging is like crossing the street. I see things differently. I am able to calibrate what is happening, how it is happening, what I am feeling in the moment for the partial reason that I might want to write about it one day and need to be able to re-architect the moment for anyone reading my post. The other reason is that it is now more habitual to just be aware. Before this, I had no experience, I just started doing and it just started happening, but I had to decide. This is not an expertise that is developed over time. It can start right now. The first thing to do is ‘stop.’ Stop whatever you are doing. Feel what that feels like. What does your body feel like. Are your lungs expanding in and out? Can you feel your heart beat? Your eyelashes as you blink? The air as your inhale? This, and this alone, is reason to be grateful. You are here, alive. If you are totally healthy, be grateful, you do not know the difference. If you have been sick in the past, you know the reasons to be grateful, now remember them. The next step is to ‘look’ around you. Many of us do this from a different vantage point. What do they have that I don’t? Are they the proverbial Joneses? But there is a very different way to look at this. Last week in the mini’s weekly music class there was a mother there with her 3 year old son. She smiled as she watched her little boy dance around, interact with the teachers, and play the instruments. Her big eyes filled with love as they contrasted with her olive skin and her headscarf concealing what was clearly baldness brought on from the ravages of chemotherapy. As I focused on my own minis and enabling specifically E’s enjoyment, monitoring M’s first exposure, and encouraging Q’s interactions, I could not shake her from my heart. What she must think. What she must feel. What she must fear. What she must hope. What she must value. What she must love. She sees things in each and every moment. Moments she treasures. Moments she hopes he will remember. Moments; the true definition of being present. By nature steps are linear, but like crossing the street, in gratitude, we can do some of these at the same time. Taking in your environment, you look around, you listen, and you feel. If you are in tune, then you process and internalize what’s happening with you and to you. When you listen, something different happens. I believe that sound can be directly connected to emotion. Listening to music can change a mood or trigger memories. Listening to words can transport us. Listening to laughter can bring us joy. Listening to cries can bring us sympathy. Listening makes you present. If someone is telling you a story, are you really listening or are you crafting your response? Can you truly hear what someone is saying, what might be behind the words? Can you hear the birds? The cars on the street? The sound of a baby breathing? If you really listen, you can be grateful for all of these sounds. For the world around you. This week is Thanksgiving. 4 years ago, I sat at our Thanksgiving table and cried as my Q and E were in the hospital and we had taken a few short yet very long hours to have dinner with family. I cried out of trauma for what we had been through, the fear of what was happening and that they might not make it, the hope for the future, and the boundless presence of love I now knew but could not imagine losing in any form. I cannot let go of that, I will not let go of that. It grounds me. It lets me know that this Thanksgiving, is amazing. The past helps me appreciate, feel, love the present. I will try not to fret about the future, but I will and then I will use being thankful as a way to bring me back to the present. This Thanksgiving, the present is exceptional. This Thanksgiving I am grateful for family, friends, life, love, fortified, perseverance, support, and everything that falls from those pillars. The hardest days are still supported by these pillars which I can only find through being present and grateful and it’s these pillars, presence and moments that make each day ‘anewfavoriteday.’ Happy Thanksgiving and cheers to being Thankful. Hi Shannon. This is an amazing and inspiring post. Thank you for it. You have such a way of writing that touches my soul. My premie who spent months in the NICU is now 27 years old. I look at him and know I am truly blessed. He is happy and healthy. So much has happened throughout his life time and mine. It is everything to be present in the moment. I struggle and remind myself every day. Time goes by so fast. I’m 55+ and I don’t want to miss a moment. Today I’m thankful for you and your eloquent reminder. Happy Thanksgiving to you, Shannon. This is such a beautiful space that you’ve created! I look forward to experiencing more! Thanks so much Jen. Welcome and so honored you would spend your time here!